Vision blinds combine the softened light diffusion of sheer fabric, with the stylish practicality of a privacy blind. The look is contemporary and the bold horizontal stripes are easily controlled by way of a ‘child friendly’ control chain, from transparency to dim out, or to privacy or fully opened for total control of the view to outside. 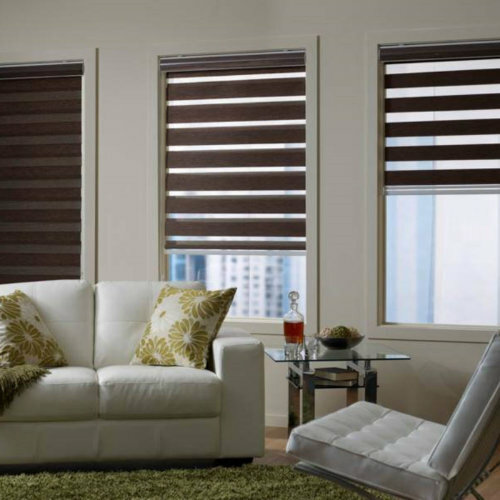 Vision blinds come in a range of colours to enhance any decor or room setting. Also a choice of colours for the cassette housing and the bottom bar are available for the total bespoke experience.